Hard hitting, in your face, modern hard rock music from northern Wisconsin with a classic and southern rock influence. 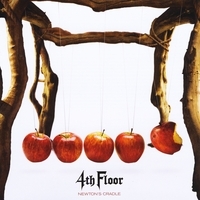 "Newton's Cradle" is 4th Floor's second studio effort. It follows up their debut from early 2006 called "Released". This album was recorded at Whitehouse Studios in Wausau, WI and released on June 6th, 2009. On display throughout this record, is a very driving, mature, and in your face style of song writing. With five years under their belts as a group, 4th Floor has become a force to be reckoned with as far as bands in the Midwest are concerned (even though all the members are between 21 and 23 years old). One listen to the band’s most recent release will leave no doubt that they are the real deal. Newton’s Cradle is being shopped to a number of major labels in the US. Most notably are Wind-Up Records, Warner Bros Records, and Dangerbird Records. Over the years 4th Floor has had the privilege of opening for Red, Royal Bliss, Papa Roach, Black Stone Cherry, Hinder, Nonpoint, Hellyeah, Finger 11, Machine Head, as well as playing with countless other local/regional bands from Wisconsin, Illinois, Minnesota, and Iowa.